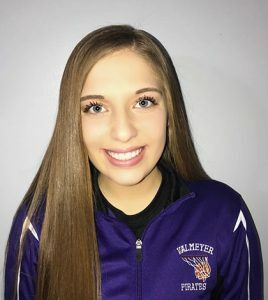 The Republic-Times Athlete of the Week is Valmeyer High School girls basketball player Tinleigh Jakimauskas. The sophomore guard is averaging 15 points and seven rebounds per game this season for the Pirates. She was named to the all-tournament team after scoring 51 points in three games at the Chester tourney.